I have just started my weight loss journey with the help of some products from a company called Natural Beauty Slimming LTD. The company was started back in 2011 by a women called Nicola. The products that are sold on the website are natural supplements and weight loss products. A friend of mine told me about this company and I'm glad she did, I didn't buy the products straight away. I wanted to see what people were saying and wanted to see peoples progress first. I have been trying to lose weight for a long time now I don't eat to badly but I guess I have picked up little habits and well the weight won't budge. In 2011 I was a size 8 and weighed 10stone I felt amazing then I fell pregnant and knew I would put on some weight and I gained a stone. I then gained another 2 stone by using the pill so I switched the pill and gained another stone. I hate having my picture taken and I don't feel very happy or confident anymore (which affects my relationship in certain ways). After weeks/months of watching people lose weight and become happy I have took the plunge and bought some of the products that Natural Beauty Slimming LTD sell. I already feel more confident in the hope that I will lose some of this weight that is getting me down. The company have a facebook page where they offer support to everyone, they are very friendly and always get back to you if you ask a question. I will be keeping all you readers updated with my progress and I will include pictures too as much a I hate how I look but I want you to see the difference not just read about. So after speaking with the amazing women who has started this company I have a giveaway for you. The giveaway is for the latest and newest product that they have to offer. 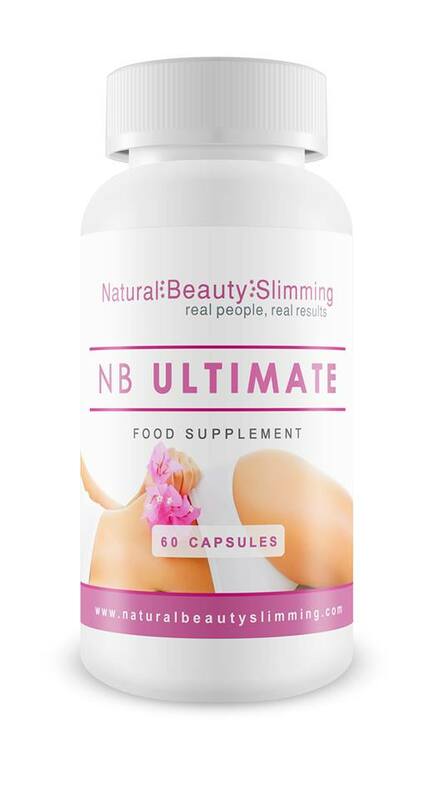 NB Ultimate is an exclusive product that is only available from Natural Beauty Slimming LTD, NB Ultimate is designed to boost your metabolism which means it will naturally burn the fat quicker. It also suppresses your appetite. The ingredients are 100% natural. Good luck! !